MultiBrief: Is California’s healthcare system broken? Is California’s healthcare system broken? 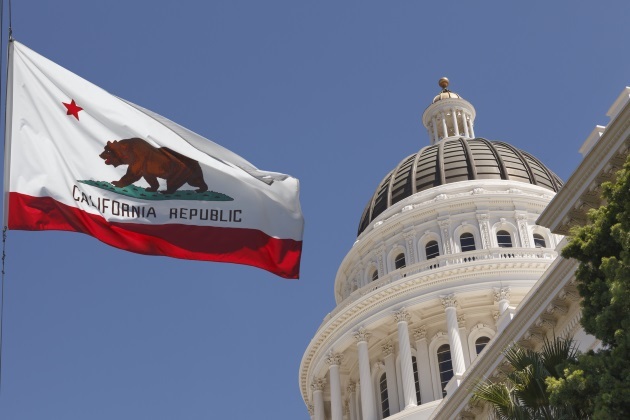 In a series of seminars April 26 in Sacramento, politicos, industry lobbyists and state bureaucrats weighed in on two factors beleaguering the current healthcare system in California; cost and access. The tone of the event ranged from apologia to outright hand-wringing, with insiders even confusing themselves about the 2015 Medicare Access and CHIP Reauthorization Act federal health funding bill and cheat sheet workarounds for its subprograms. The caduceus is easily confused with the Rod of Asclepius (Greek god of healing), a single serpent on a staff, the symbol for medical practice used by the World Health Organization, the American Medical Association, and its affiliates. The convention primarily focused on healthcare policy and costs. The remainder dealt with a broad range of topics from workforce, homelessness, social determinants of health, the opioid epidemic, long-term care and new technologies. Its sponsors included labor, medical societies, insurers, finance specialists, academia, government, lobbyists, the pharmaceutical industry and other medical interests. Do healthcare lobbyists exercise untoward influence upon legislators? In his 1961 farewell address to the nation, President Dwight D. Eisenhower warned of the relations within the military-industrial-congressional complex, also known as an "Iron Triangle" between government, lobbyists, and executive agencies. The relevant Iron Triangle to the conference is replicated in the healthcare system with special arrangements between elected legislators, state healthcare agencies and healthcare special interests. These special interests are known as constituents; sometimes referred to as stakeholders. People as patients are consigned to the inferior role of consumer and play no part in the formation of policy. It's important to understand these labels, because that's what drives healthcare policy in California and the nation. Of course, an Iron Triangle can exist between any legislature, group of special interest lobbyists and agency bureaucrats. The balance of power has been upended in Sacramento, according to public relations specialist Kassy Perry, "Single payer has become a litmus test for Democrats; they have to kneel at the altar of single payer...[in the past, legislative] leaders...[would] go out and drink at Frank Fat's [restaurant] and cut deals on napkins...we don't see that now due to term limits and the way that polarization has occurred...The lobbying corps now has the expertise." Rob Bonta, Assembly Assistant Majority Leader, and co-author of the single-payer bill, said, "The policy [SB 562] was not mature yet; it was a huge policy challenge...What's the tax increase? Who are the two-thirds folks [legislators] who are going to vote on it [to pass]? Is SB 562 dead in the water due to campaign contributions to legislators by single-payer opponents? Bonta answered in this way, "Single-payer, they [the healthcare lobby] really weren't that active in opposition...I really want to depart from and dispute your suggestion that campaign donations are related to anything that happened with SB 562. No. Simply, No." Bonta added, "I want us [the legislature] to address those hard issues...and then do a hand off to the voters to do the constitutional amendments, the pieces on the Gann Limit and Prop 98." Regarding the influence of healthcare lobby contributions upon single payer legislation, he concluded, "I think you're drawing some connections that aren't there between campaign donations and policy; I just disagree with you. And the law prohibits what you're suggesting." In terms of healthcare cost containment, Janus Norman, the executive director of the California Medical Association, firmly opposes government rate setting for reimbursement to healthcare providers (as proposed by AB 3087), calling it "...the biggest threat to the healthcare delivery system." He recommends medical homes, which are already mandated by Federally Qualified Health Centers. According to Norman, 90,000 active California physicians each spend $80,000 to $90,000 per year in administrative costs for medical billing (about $8 billion), which he says needs to be simplified. He argued that consolidation of healthcare groups decreases competition and increases prices and costs. When pressed about any original, non-single-payer solutions to containing medical costs, Norman said, "I don't think we've found the actual solution yet." Richard Scheffler is an economist and co-founder of the Berkeley Forum at the Nicholas Petris Center, UC Berkeley School of Public Health. State legislative leaders and CEOs of California's health systems gather at the Center to study and propose statewide healthcare policy. Scheffler, one of only two public academics at the conference, did not see the California system as broken; in fact, he praised it for being in 15th place for per capita healthcare spending nationwide. To reduce costs, he proposed global budgets, which require a delicate balance between economies of scale and outright monopolies. Despite Scheffler's rosy assessment of California's healthcare economy, the Berkeley Forum predicts burgeoning future healthcare costs as an 18.1 percent share of statewide gross domestic product (GDP), while the federal Centers for Medicare and Medicaid Services predicts a whopping 19 percent share of national GDP. State Sen. Ed Hernandez is an optometrist who represents the San Gabriel Valley east of Los Angeles. As a healthcare provider, he has a stake in how healthcare policy affects his optometry practice. He is subject to term limits and is running for Lieutenant Governor in November. When asked if he thought there was a connection between campaign contributions from healthcare lobbyists to legislators and policy outcomes, he responded, "No...policymakers...didn't feel the bill was ready or cooked." When asked if he'd read the cost containment data in the May 2017 report by Robert Pollin of the Political Economy Research Institute, University of Massachusetts, Amherst, Sen. Hernandez said, "No, I haven't read it; I have no idea what it says." Most patients are familiar with the fee-for-service (FFS) model of payment for healthcare expenses; the doctor does something for the patient and then gets paid for it. Health policy wonks call that a volume-based model. In its place, the federal Center for Medicare and Medicaid Services (CMS) has an alphabet soup of programs to transition that volume-based model into an Alternative Payment Model (APM), which is based upon value. Value-based payments fall under the Medicare Access and CHIP Reauthorization Act (MACRA), the 2015 federal law administered by CMS. Sue Dietz, vice president of Caravan Health, promised to guide confused doctors through the bureaucratic maze that is MACRA. The Merit-based Incentive Payment System (MIPS) is the scoring system for doctors to qualify for these value-based payments; and the cheat-code for hospitals and doctors for a perfect score is embedded in the Accountable Care Organization (ACO). Where FFS factored volume of treatments, etc., MACRA/MIPS/ACO depends upon value-based outcomes for reimbursement. In order to work, federal law appears to favor large organizations. Dietz says, "You need 5,000 lives to participate [in an ACO]...[so] the founder [of Caravan] decided to bring together an aggregate of rural facilities into one ACO; and the next year after that, it turns into six ACOs; and after that, it turned into 23 ACOs; and after that, it's now 35 ACOs." Work units in FFS have become life units in ACOs; one commodity has been exchanged for another. To intensify efforts in support of a single-payer system, the Sacramento chapter of Physicians for a National Health Policy (PNHP) leafleted the convention. Meanwhile, Jennifer Kent, Director of the California State Department of Health Care Services, was a no-show for the afternoon keynote panel on the state's $100 billion Medi-Cal spending. Kent was expected to speak on the future of the Section 1115 Waiver of the Social Security Act, which enabled California to enact Obamacare on a grand scale. California's legislators, lobbyists, and bureaucrats appear to be at loggerheads over nagging problems of booming health care costs and shrinking public access through a patchwork quilt of remedies. If health care is broken in California, and the stakeholders can't agree to regulation of the markets; is single payer a solution?